Leftover halibut can be as flavorful as freshly cooked fish. The key is to avoid aggressive reheating methods such as searing or microwaving, which leave the fish dry with a strong fishy taste and smell. Halibut's mild flavor and dense, firm flesh makes it well suited to pairing with a variety of other flavors so feel free to be adventurous and customize it to suit your personal palate. 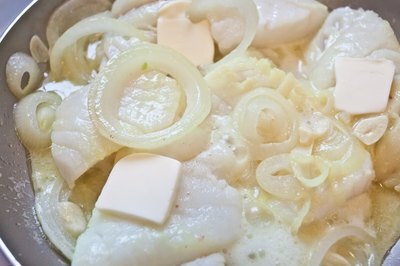 Gently reheat leftover halibut in a saute pan at a low temperature before cutting it into pieces, flakes or chunks. Stir cut up leftover halibut into soups, stews, rice dishes or pasta. Pair it with other leftovers such as rice or vegetables, or cook a fresh batch of vegetables, such as asparagus, artichokes, peppers, onions and garlic, until they are tender by sauteing them on top of the stove with a little butter or olive oil. Alternatively, roast vegetables and potatoes in an oven that's been preheated to 425 degrees Fahrenheit until they are tender. Root vegetables such as beets, carrots and potatoes may need 30 to 60 minutes. Tender vegetables such as zucchini or asparagus can be ready in approximately 10 to 15 minutes. Get a fast Mexican-inspired meal on the table quickly by adding room temperature or gently warmed leftover fish to a warmed flour or corn tortilla with some scallions, avocado and a zesty slaw to make fast fish tacos. Alternatively, cook some rice, or use leftover cooked rice and add it, along with the leftover fish, drained and rinsed beans, rice and vegetables, such as red bell pepper, onion and tomato, to a large, warmed tortilla. Fold the sides inward so they nearly touch. Then, fold the bottom of the tortilla upward, rolling the tortilla tightly into a burrito. Flake the leftover halibut into large pieces. 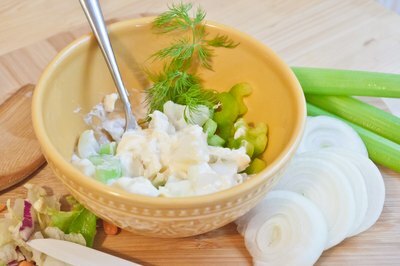 In a medium mixing bowl, mix a binding ingredient such as beaten eggs or mayonnaise with aromatic ingredients such as celery, onions and garlic. Other ingredients that pair well with halibut include capers, chervil, chives, dill, fennel or mint. 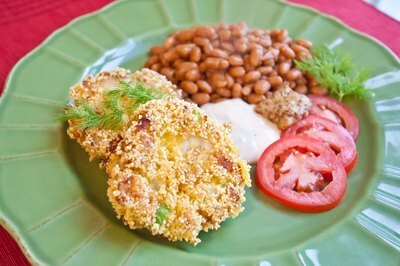 Optionally, mix in breadcrumbs or crushed crackers to help hold the halibut cakes together. Form the mixture into patties. Melt butter or heat a little oil in a heavy-bottomed skillet. Brown the halibut cakes on both sides. 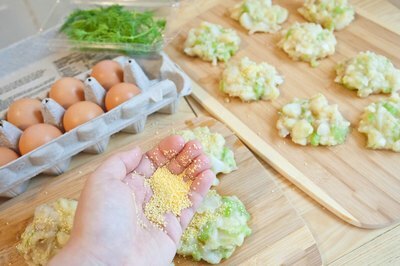 Alternatively, mix the flaked halibut, eggs and breadcrumbs and pack the mixture in a loaf pan. Bake the halibut loaf for approximately 30 to 40 minutes in an oven that's been preheated to 350 F.
Move over tuna salad; there's a new fish in town. Keep the leftover halibut relatively chunky for added texture. Combine it with mayonnaise, chopped celery and a pinch of salt and pepper. Serve it on a sandwich or on top of cool, crisp greens. Alternatively, mash the leftover fish and mix with plain Greek yogurt or creme fraiche, a little freshly squeezed lemon juice and chopped fresh herbs. Treat the mixture as a sandwich filling or spread it on toasted bread or crackers to use it as an pate-like appetizer.